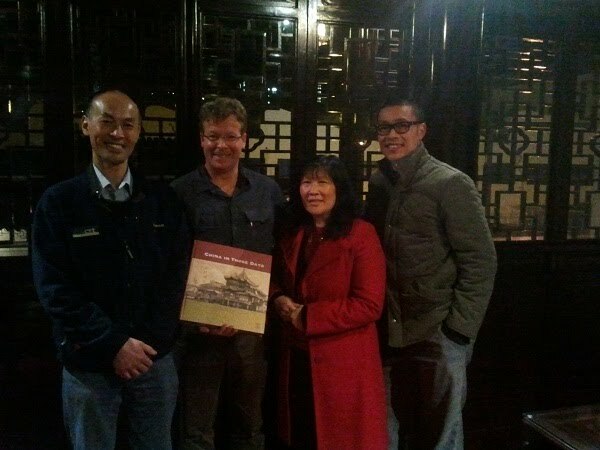 On Wednesday 2nd May 2012, the general public and all OSCA members were invited to a presentation at the Dunedin Chinese Garden, of Chinese history viewed through postcards, by Thomas Brandt, a German manager who lives in Malaysia whose hobbies are postcards and Chinese history. Thomas was very surprised to present to a full house despite the fact the event was only organised less than a week in advance. We didn’t know what to expect, but boy his 90 minute presentation was worth every minute. Using postcards dating from the 1890s to the first half of the 20th Century mostly from Europe depicting scenes from 2000 years of Chinese history, Thomas entertainingly and passionately kept us listening intently to his incredibly vast knowledge of Chinese social history. The talk was concluded with his favourite topic – the Chinese Diaspora i.e. Overseas Chinese. His postcards depicted many scenes from Chinese mostly in San Francisco and New York. While in Central Otago Thomas was busy reading books and collecting information about Chinese at the Otago Gold Rush and was surprised to hear about the fact that Chinese in New Zealand at that time attempted to ship the bones of deceased miners back to China i.e. they wanted to go back to China. The experience in other Chinese communities, particularly in San Francisco were vastly different – life in China was hard and they did not want to go back and at the earliest opportunity, after they became Americans after records were destroyed by the San Francisco Earthquake, brought supposed family members from China to San Francisco. Like New Zealand at that time, the San Francisco Chinese community was entirely male and just like in Otago, they suffered discrimination in the legislature where a law was passed to stop further Chinese immigration. Underlying the presentation was Thomas’s absolutely wonderful book “China in Those Days”: A Postcard from the Middle Kingdom. We (Adrian, Frances and Gordon) took the opportunity to purchase a copy for OSCA. 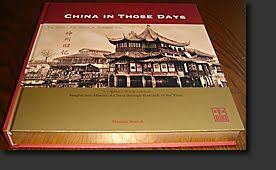 Every page in the book contains pictures of postcards and descriptions of Chinese history in English and Chinese. For more information go to www.prismnet.com/goasia where you can find postcards as well as an order form for his book. We’d like to express our gratitude to Ute Keck the lovely Visitor Services Officer at the Chinese Garden for having the audacity to talk a tourist into giving such a superb talk at the Chinese Garden at short notice. And of course, thank you very much Thomas, you’re welcome back any time.